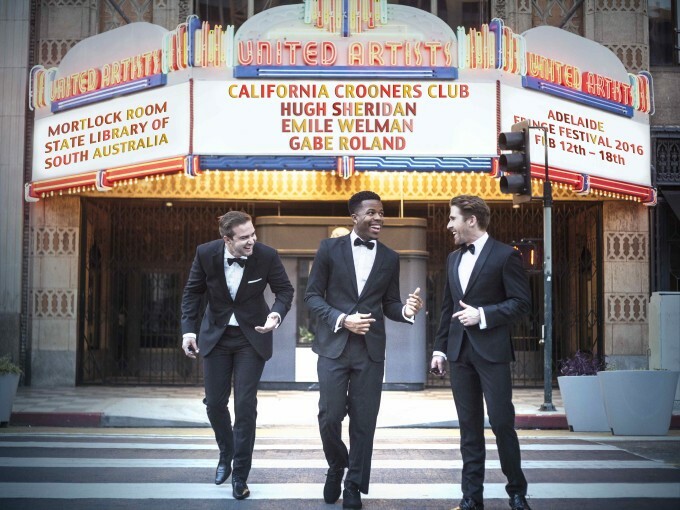 Former Sony artist and acclaimed Aussie actor Hugh Sheridan has reignited his singing career, popping up as part of a new trio entitled California Crooners Club alongside Emile Welman and Gabe Roland. The band emerged from the boys’ shared love of jazz classics and “genius pop songs” and blends a range of genres into one that’s clearly already captivating audiences, with the boys’ six shows as part of the Adelaide Fringe Festival (starting tonight) already sold out. The first taste of what the band’s about comes in the form of debut single ‘Just A Little More’, released today, which fuses feel-good pop elements with a dash of rap and big band sounds. There’s even a little hint of Dolly Parton’s ‘9 To 5’ in here too.